The USDA’s My Plate (formerly known as the Food Pyramid), and a preponderance of other sources commonly direct consumers to consume more fruits and vegetables every day. It’s true – fruits and vegetables are important, but what is not widely understood is the importance of animal foods and other healthy fats for sources of important nutrients that are largely missing from modern diets. The nutrients in these foods support our digestive tracts and virtually every aspect of our health. Fats and cholesterol from animal-sourced foods contribute to a larger body of critical nutrients that are essential not only for foundations of health in growing and developing infants and children, but continued health maintenance throughout life. These nutrients – fat-soluble vitamins A, D, E, and K2, essential fatty acids DHA and EPA in the form of Omega 3s, CLA, Vitamin B12, and a wide array of minerals, are found in these foods. Rich source of Vitamins A and D. Many people are deficient in Vitamin D, and chronic health issues are on the rise as a result. Historically speaking, traditional people all over the world have consumed diets that were markedly higher in Vitamin D. From the research of Dr. Weston A. Price in the 1930s, the traditional people he encountered consumed in some cases up to 10 times higher in Vitamin D than people living in the industrialized world. Cod liver oil also contains Vitamin A. Vitamin A is critical in helping the body avoid many diseases and illnesses. It protects against oxidation in our cells, prevents childhood asthma, prevents kidney stones, helps to regulate the amount of fat tissue in the body, keeps blood sugar level, and protects the liver from becoming fatty and diseased. Unlike many other cod liver oils on the market, fermented fish liver oils are extracted without using any heat and use a natural fermentation process called lacto-fermentation. This is what makes the fermented variety nutritionally superior to run-of-the-mill cod liver oil. Without a doubt, fermented cod liver oil is a superfood, and one that can deliver real nutrition to the body, even to those with compromised digestion and immune systems. For more information on the numerous health benefits of this superfood, Chris Masterjohn’s web site, Cholesterol and Health. This delicious and nutritious oil can be eaten raw or cooked, and is one of the most stable fats available. According to Dr. Mary Enig, PhD, nutritionist and biochemist, “approximately 50% of the fatty acids in coconut fat are lauric acid.” This acid is a medium-chain fatty acid which the body converts to monolaurin during digestion. Monolaurin is the antiviral, antibacterial, and antiprotozal monoglyceride used by the body to eliminate lipid-coated viruses such as HIV, herpes, influenza, a variety of pathogenic bacteria such as heliobacter pylori and giardia lamblia. Coconut oil is easily digested and converted into energy in the body. As healthy saturated fats are some of the best sources of energy, coconut oil is a great source of essential saturated fat. Another 7% of coconut oil fat is comprised of capric acid, which stimulates anti-microbial activity in the body. Because this oil is so stable, it can be used in cooking and heating foods. It is ideal for baking, cooking meats, vegetables, stir frying, popcorn, and many other meals. Bone broths are easy to make and highly nutritious because foundational elements for health are captured in the nutrient-rich bones from animals and birds in these preparations. It is difficult to calculate the precise amounts and types of minerals in bone broth, but is dependent upon cooking methods used, amount of water used, and the mineral content of the bones. Conventional versus organic and pasture-raised bones would be significant). Some minerals found in home-made broth include the following: zinc, calcium, selenium, phosphorus, potassium, and magnesium. Home-made broths from bones provide numerous nutrients, are inexpensive to make, are delicious, and versatile. Uses range from being the foundation to soups, gravies, casseroles, sauces, marinades, and are great for cooking with rice, noodles and vegetables. Broths also contain important amino acids, collagen, and gelatin. These substances provide digestive aid, immune support, encourage the balance of probiotic bacteria in the gut, and provides bone-building and maintenance support. They are a natural and economical source of protein. Some of the health disorders thought to be improved by consumption of bone broths are chronic and degenerative joint and bone disorders such as osteoporosis and arthritis. It is also important in maintenance of fingernails and hair growth. Because it is a liquid, it is highly digestible as well as being a versatile food. Here is our recipe for home-made chicken stock. Milk from pastured, healthy cows free of antibiotics and hormones, pesticides, and other chemicals is a life-bringing substance. It is a complete and properly balanced food containing proteins, fats, and carbohydrates, all-in-one. According to Raw Milk Facts, amino acids behave as building blocks for protein. “Depending on who you ask, we need 20-22 of them for this task. Eight of them are considered essential, in that we have to get them from our food. The remaining 12-14 we can make from the first eight via complex metabolic pathways in our cells. Raw milk also contains healthy bacteria or probiotics. These important bacteria build the foundations of our intestinal and digestive tract, and also our immune systems. Healthy bacteria found in raw milk can help maintain good immune and digestive system balance. The role of saturated fats, found in milk, is also essential to health. Saturated fats are critical in constructing cell membranes, hormones, and providing the capacity for energy storage and padding for delicate organs, and they provide a mechanism for digestion of important fat-soluble vitamins (many of which are found in vegetables and other foods). The body cannot recognize nor utilize damaged fats from pasteurized milk, and those substances add to the toxic load, rather than serve as a mechanism for health. “All fats cause our stomach lining to secrete a hormone (cholecystokinin or CCK) which, aside from boosting production and secretion of digestive enzymes, let’s us know we’ve eaten enough. With that trigger removed, non-fat dairy products and other fat-free foods can potentially help contribute to over-eating (Raw Milk Facts).” Because of this neither skim, 1, nor 2 percent impart benefits for health such as the unadulterated fragile proteins, digestive enzymes, and probiotics found in raw milk. If you or someone you know is “allergic” to dairy or has lactose intolerance, the reason might be due to consumption of pasteurized milk and milk products. Heating the milk during pasteurization denatures the healthful elements present in raw milk, and renders those substances difficult, if not impossible for the body to digest and assimilate into the bloodstream. Beef, chicken, turkey, lamb, geese, duck, goat, bison and other game meats. All of these foods are excellent sources of high-quality protein and Vitamins A & D as well as a myriad of other significant nutrients. If you are looking to really boost your intake of nutrients in meals, this is one of the most effective ways to do so. Many people find the idea of organ meats unappealing, but these foods were eaten by traditional people all over the world for thousands and thousands of years. In the historical past, t used to be customary to use most, if not all parts of the animal for nourishment and other purposes – tools and implements, clothing, cosmetics, medicines, and many other uses. Many of our ancestors would have considered it wasteful if not downright disrespectful to discard unused animal parts. The Native Americans regarded the whole body of the animal as a sacred and blessed gift of their everyday lives. As well as eaten in plain sight fried up with onions and garlic, organ meats can be cleverly disguised in many dishes – casseroles, soups, stir frys, or minced and put in ground beef dishes with delicious sauces and marinades. The possibilities are endless. Liver contains: folate, zinc, Thiamine, Vitamin B12, Vitamin C, Riboflavin (Vitamin B2), Niacin (Vitamin B3), CoQ10 (important for cardiovascular function), iron, and copper. Contrary to popular belief, the liver organ does not store toxins. Those that the liver filters are actually passed on to the cells. Additionally, any unhealthy side-effects of eating liver are normally attributed to the consumption of factory-farmed, or obese meats – replete with chemicals and toxins you don’t want in your body. Heart and kidney are also very beneficial organs, from healthy animals on pasture, and contain the following nutrients: folate, selenium, thiamin, zinc, phosphorus, CoQ10 and various B vitamins. Beef heart contains amino acids which are believed to boost metabolism and compounds that improve the production of collagen and elastin in our skin. Here are some recipes using organ meats from Pinterest. Another health food category containing saturated fat, butter and cheese from cows on pasture contains Vitamin K2, also calcium, and the most easily absorbed form of Vitamin A (important for adrenal and thyroid function). It is also a great source of Vitamins D (essential to the absorption of calcium) and E, anti-oxidants, selenium, lecithin, conjugated linoleic acid (potent anti-cancer agent, immune booster, and muscle maintenance), and lauric acid (essential in antifungal prevention). Vitamin K2 is necessary to properly synthesize Vitamins A & D. These nutrients protect against tooth decay, heart disease, and optimal brain functionality. Butter and cheese contain short and medium-chain fatty acids, and like coconut oil, also include small amounts of lauric acid. Rich in antioxidants from beta carotene (Vitamin A), Vitamin E, and selenium, butter and cheese are truly some of the finest health foods available. Vitamin A is another valuable nutrient found in these prized dairy foods. When cows graze on living grass – rich in vitamins E, A, and beta-carotene – they receive better supplementation than those consuming stored hay or other conventional dairy feed. From the Grass-Fed Traditions site: “The naturally golden color of grass-fed butter is a clear indication of its superior nutritional value.” Just look at the butter you are eating, and if it looks golden in color, there’s a good chance it’s from a cow grazing on green pastures. 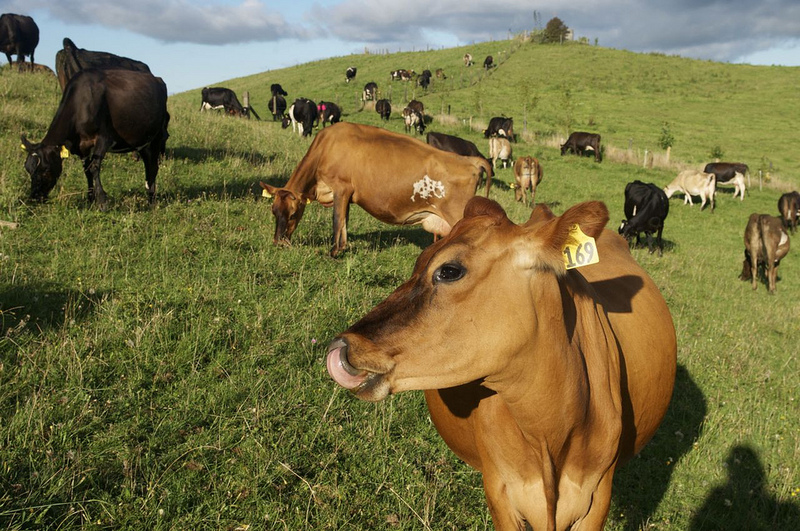 As with many other foods from animals on pasture, butter and cheese that comes from cows eating grass are head and shoulders above conventionally-produced dairy products. For many years, medical communities have campaigned against butter and promoted unhealthy artificial polyunsaturated fats like canola oil, vegetable shortening, cottonseed oil, and soybean oil. These are oils produced as by-products of the industrial waste process and are usually rancid on the shelf (even if not technically hydrogenated). Read the 20 health benefits of real butter from Donna Gates at Body Ecology. Yogurt, buttermilk, kefir, sour cream, cheese, sauerkraut, kimchi, other lacto-fermented vegetables, kombucha, and fermented soy (natto tempeh, miso; fermented is the only way soy should be consumed). People have been consuming diverse bacteria in their diets for thousands of years. It has only been in the past 160 years or so of humanity’s existence that we have developed habits of sterilizing, pasteurizing, irradiating, and otherwise eradicating nutrients and friendly bacteria from natural foods. The kinds of foods many people eat in modern day are produced under some of the most ghastly conditions which don’t allow good bacteria to survive and simultaneously are breeding grounds for sickness and pathogens (i.e., factory farms and other conventional farming environments). Modern farming and food production methods have caused food safety authorities to create laws requiring the “sanitation” of foods in order for them to be lawful for sale on the public market. A good alternative to this problem is the consumption of lacto-fermented vegetables and dairy foods such as those produced from healthy animals kept humanely on pasture. What’s so important about fermented foods? According to Mark Sisson of Mark’s Daily Apple, “fermentation can render previously inedible or even dangerous foods edible and somewhat nutritious. The lectins, gluten, and phytates in grains, for example, can be greatly reduced by fermentation.” Although consuming grains should be done sparingly since they are inflammatory in nature and most wheat crops are now contaminated by GMOs due to test plots maintained by biotech companies, real, long-fermented sourdough bread is one of the healthiest, most beneficial breads you can eat. Because populations of good bacteria have been decimated by the creation of the modern food system, the average person has a massive reduction in good bacteria in his or her digestive tract, rendering the body vulnerable to many conditions and diseases. Benefits of consuming fermented foods include protection from many viruses and bacteria like those that cause flus and colds, diarrhea, and other acute illnesses to chronic problems like irritable bowel syndrome, Crohn’s Disease, and cancer. They also aid the digestive tract in absorbing nutrients and enzymes critical to health, as well as help to reduce dental problems and cavities. Steak, ground beef, chicken, pork, duck, turkey, good sources of fat-soluble Vitamins A & D, Vitamins E & K, betaine, conjugated linoleic acid (CLA which promotes cancer defense), and Omega 3s. Grassfed beef contains up to 4 times more Vitamin E, is the richest known source of CLA and contains 3 to 5 times more than meat from conventionally-raised animals. Although fat is healthy for us to consume, it is true that grass-fed meats and poultry are lower in fat and calories, and also higher in protein. But the real key here is not the fat content – but rather, the right type of fat. Fats from animals raised on feedlots are unhealthy in many aspects, from the grains/soy/corn fed to the animals (who are meant to consume grass as they are ruminants), to the lack of sunlight and open spaces, to the substances administered to the animals to keep them “healthy” and make them grow faster for slaughter – antibiotics and growth hormones. The quality of protein and fat is grossly compromised in animals in a feedlot environment, and as a result, nutrients are off balance. The Eat Wild web site shows how Omega 3 content of meats vanish in the feedlot. One example is the disproportionate amount of Omega 6s to Omega 3s found in conventional meat. When cattle and poultry consume grains, it increases the Omega 6s. Too many Omega 6s lead to inflammation in the body and eventually degenerative disease like obesity, cardiovascular problems, digestive disorders like diabetes, and cancer. Healthy animals and birds on pasture do not need drugs to keep them well. Mindful farmers allow for their natural growth time and slaughter them at the right time. As a result, their meat and meat products are well-balanced foods that bring health and flavor to your table. Eggs from chickens, ducks, and other fowl that are raised out in the open, free of hormones, antibiotics, and other chemicals are great for your health. Eggs from birds on pasture contain fat-soluble Vitamins A & D, E, and K, and also the important and lacking Omega 3s from the processed and developed diet of most people living in the U.S. and other industrial nations. Eggs also offer other important nutrients: riboflavin, folic acid, and minerals calcium, zinc, and iron. Raw egg yolks from pastured hens (soy-free is recommended) are especially nutritious and contain choline, CLA (conjugated linoleic acid), Vitamin A, D, and E. Try adding yours to a smoothie! For decades, mainstream medical and health rhetoric deemed eggs an unhealthy food to consume. We were successfully convinced that eggs gave us heart disease and high cholesterol. But medical professionals have changed their minds again and are now endorsing eggs as acceptable to eat. We always knew they were wrong to begin with. According to Eat Wild, eggs and meat from pasture-raised birds and animals has three times the amount of conjugated linoleic acid (CLA) as their conventional counterparts, and 10 times the Omega 3 essential fatty acids. There is a strong connection between the regular consumption of CLA in the diet and reduction of cancer.When birds are housed indoors and lack exposure to sunshine, ability to express natural behaviors, and consumption of insects and plants, they are deficient in nutrients. They can also become sick much easier and farmers find it necessary to administer drugs and antibiotics to keep them well. Still, some of them die anyway due to the conditions in which they live. These foods are good sources of iodine, calcium, iron, potassium, copper, manganese, Vitamins C, D, E, & K, pantothenic acid (B5), niacin (Vitamin B3), and Omega 3 essential fatty acids. Best bets are wild caught Alaskan salmon, tilapia (U.S., farmed) whitefish, tuna, squid, crab, mollusks (oysters, octopus, squid, clams, scallops (farmed), mussels (farmed), crayfish (Northern U.S., farmed), smaller fish like sardines and anchovies, shrimp (Canada and Northern U.S.), lobster, fish roe, and caviar. Seafood is by and large one of the best sources of the fat-soluble vitamins A & D, omega-3 fatty acids, and other important nutrients. Traditional populations the world over regarded seafood highly over nearly every other type of food. Historically speaking, great efforts were made to obtain seafood for both its health benefits and taste. It’s no secret that the oceans, streams, and rivers have been over-fished and are polluted. As a result, there are concerns about safe choices in seafood and eating selections that are as free as possible from toxins. However, the healthier your gut flora is, the more protection you are afforded from heavy metals (especially mercury) contained in fish. As answered in this article with questions answered by Sally Fallon Morell in Nourished Magazine, eating foods rich in natural probiotic content (such as lacto-fermented vegetables, fermented dairy, and others) can negate the effects of heavy metals found in seafood. Read my two-part series featured on Nourishing Our Children, Should we avoid fish because of mercury, Part I and Part II. Check out the Super Green List from the Monterey Bay Aquarium to stay current on the latest information regarding safe-sourced seafood. I would add Amasai and cultured whey. Both are fermented foods and have amazing healing properties. We wouldn’t be without them! Hi Lisa – are you referring to the Amasai product from Beyond Organic? I have tried that in the past and enjoyed it. I wish the BO products were more affordable! I love that they are from such clean living environments and A2 cattle. Cultured whey is definitely a good one too! We get quite a bit of whey from the cultured dairy foods we make at home including yogurt, kefir, sour cream, and cream cheese. I used to order the Beyond Organic Amasai drinks but i heard they went out of business. Is this not true? My gut should be rock solid! I eat these foods everyday! Thx for the list and the detailed explanation! Hi Karen – it’s great to hear from folks who are eating this way already. Thanks for your comment and I agree, you should have a very healthy digestive tract if you include these in your diet! the link for Monterey Bay Aquarium does not work. Hi Carolyn – I fixed the link. Thank you for letting me know! what about pastured pork? I don’t see that mentioned. Hi Carolyn – I added pastured pork. Thanks for your comment! One thing I really don’t understand though, is the section on liver. It says that the liver doesn’t store toxins but then goes on to say that people who experience negative side effects after eating liver from factory farmed animals so the liver contains toxins. It’s contradictory so I’m confused. Can anyone help me? Does the liver store these toxins or not? Carolyn – Are you referring to Nourishing Traditions? From my understanding, the liver does not normally store toxins. However, if the person in question is eating the SAD diet (Standard American Diet), many harmful substances from those foods will become lodged in the body. The liver is known for harboring stones, and these are from poor lifestyle choices, including diet, stress, environment, etc. You can use the term “store” if you want, but real, nutrient-dense foods do not contain the kind of chemicals that the SAD diet does. The body stores what it needs and discards the rest as waste products via bowel movements, sweat, urine, and other detox activities. If you are consuming factory-farmed foods, there will most certainly be side effects from those foods. The only foods on this list that I do not eat are the raw milk and butter/cheese. But that is because I have an anaphalactic allergy to dairy… I also do not eat eggs because I am in the elimination phase of an AIP diet which excludes eggs. This is a great list of gut-healing foods for everyone though. Thankyou for posting. Hi Salixisme – thank you for stopping by! I wish you continued blessings and healing on your health journey! Why is raw milk good for you, but many say cow’s milk is not for human consumption and that it forms into glue. Noelle – the type of milk which causes disease and illness is that sourced from factory-farms where animals are living in confinement, administered antibiotics, hormones, and are eating soy, corn, and grain (which are almost always genetically-modified or at the very least, sprayed with Roundup which has been linked to degenerative and chronic illness). Raw milk from healthy cows and goats on pasture is a food that people have consumed all over the world for thousands and thousands of years. These two substances are vastly different from one another in every way, but especially in nutritional composition. Raw milk contains living enzymes, proteins, fats, probiotics and many nutrients including fat-soluble vitamins A, D, E, and K2, Omega 3s, Vitamin B12, folate, CLA (conjugated linoleic acid), and minerals which are much lower in quantity or completely absent from factory milk due to the farming practices. When you hear “many say cow’s milk is not for human consumption and that it forms into glue”, this is a statement based not on science and history, but repetition of words that simply aren’t founded in fact. It’s certainly true that factory foods cause chronic disease and illness, as is evidenced by the marked rise in chronic disease over the last 100 years. So, to lump all milk, meat, or any other into the same category without considering the source and farming practices is not looking at the whole picture. Great article. I try to eat as much of these foods as possible. I used to drink raw milk when I lived in LA but now I live in Thailand and can’t get raw dairy products anymore. I eat grass-fed Anchor butter from New Zealand but it isn’t raw. I hope it is still benefical as well as the kefir and high vitamin K2 cheeses ( Gouda,, Brie) that I eat that have been pasturized? Hi William – there are reasons to avoid pasteurized dairy, namely that the heating process denatures or destroys vitamins and other nutrients such as living enzymes and probiotics, fats and proteins. There are many who still purchase and consume grassfed dairy foods that are pasteurized, but by far the greatest benefit you can receive is from eating raw dairy foods. It’s certainly challenging when you can’t obtain raw dairy wherever you are living. I do consume some pasteurized dairy foods from grassfed sources. We are able to get raw milk here (Boise, ID), some raw cheese and various others including yogurt, cream cheese, and sour cream. We also make our own yogurt and cream cheese from our raw milk. But we cannot get all raw cheese all the time nor raw butter, so those are the pasteurized dairy foods we still consume regularly. I think we all just do the best we can, and if we have the knowledge to seek out raw dairy we consume it whenever possible. If I lived somewhere that there was no access to raw dairy, I’d ask around and see if there were any sustainable farmers willing to provide the food I was seeking. Can you please explain why you recommend certain seafood be farmed and not wild? Also, why wild from certain regions? I recently found wild shrimp for 5he first time in years and it is Gulf shrimp. There are also some other recommendations in this post which I agree with. When I am lucky enough to eat liver my wife always purchases organically raised so there does not seem to be a problem with any toxins. Fantastic article, thank you for taking the time to put this out into the world! I’m curious…..if I consume all of these foods daily but still crave sweets, as in like….addiciton-style cravings, what am I missing? Can I be adding anything else in to quelch these severe cravings? I feel like I’m spinning my wheels as I eat these foods, but then turn around and eat a ton of sugar. James – what else are you eating in your diet? If you are still eating grains, starches, nuts, soy, corn, or processed foods, that may be a culprit. Even traditionally prepared versions of grains, nuts, soy, corn, and others like starches could contribute to sugar cravings. You may have a yeast overgrowth which contributes to Leaky Gut, and one of the best ways to resolve this is to do a healing protocol such as the GAPS Diet or the AIP (Auto Immune Paleo). It can take time for the body to adjust once you have made a dietary change. After I changed from a SAD diet to a traditional diet and no longer included those items in my daily diet, I found that my sugar cravings went away in a few weeks. If you are going back and forth and eating processed foods again, that can change everything, even if you then try to return to eating real foods with nothing processed. Also, how often are you eating? In the beginning of my changed diet, I found that I had to eat a bit more often to help restore my metabolism and blood sugar levels to normal. Otherwise, I’d feel unstable, hungry, and sometimes jittery. Effective ways to curb sugar cravings are to eat goat yogurt and also 1/2 tsp apple cider vinegar in warm water several times daily. These can help restore yeast levels to normal in the body. It is actually important to give your body some natural sugar including a bit of fruit and unrefined sweeteners such as real maple syrup, raw honey, sucanat, coconut sugar, and always make certain you eat those with some type of saturated fat (see the list of foods in this article). For instance, eating berries or apples with cream or a smoothie made with yogurt and kefir that includes a bit of honey or fruit. To answer your questions, I eat three times per day, and I have gluten-free rice based products, sometimes starchy stuff, some nuts (soaked) & a touch of soy. I will work to remove these things & add in what you have suggested. I’m curious though…..why the goat’s yogurt? And why is it beneficial to have those natural sugars? I feel afraid that if I allow myself to eat those, I’ll just want to binge on them as well, haha. James – our metabolisms need some natural sugar to keep in balance, and I would not recommend eating large amounts, but something small unless you feel that it really does contribute to your symptoms of sugar craving. Goat yogurt has enzymes, proteins, fats, and probiotics that are especially healing for the gut and promote friendly bacterial growth there and in the immune system and throughout the body. Are you consuming fermented foods regularly as well? Homemade sauerkraut, raw yogurt (cow or goat, but goat if you are having challenges is especially beneficial and a good alternative if you have issues with beta casein in cow’s milk), beet kvass, pickles, kefir, and you can add in kombucha later after you have resolved the sugar cravings. Broth is another healing food for the gut (on this list of gut healing foods) and if consumed daily can go a long way toward healing leaky gut which is one result of yeast overgrowth. Is pasteurized goat’s yogurt okay? Or does it need to be raw? Thank you again, you’ve been ever so helpful! James – I wouldn’t recommend pasteurized as it can exacerbate or cause digestive issues due to the fact that our bodies cannot digest and assimilate nutrients and enzymes which have been altered or damaged during the heating process. Pasteurized foods can contribute to Leaky Gut, gut dysbiosis, and systemic yeast problems. Raw foods are as nature intended with nutrients, enzymes, and friendly bacteria left intact and in a form our bodies can easily digest. Fermented is even better as the food has been broken down by fermentation/enzymatic activity. Store-bought fermented foods generally have less numbers of and diversity of bacteria as well. I would add organic, non-GMO fruits and vegetables – especially those that are rich in fiber as they are prebiotic and help sustain the beneficial gut microbiome. What a wonderful resource this is! I appreciate all the links you provide to support your information, as well as the tremendous amount of research and time you must have spent. As a vegetarian-leaning flexitarian, I may never eat as much meat as this article suggests I need to be healthy, but I remain a strong fan of grass-fed and truly-pastured butter, cheeses and homemade yogurt. Thank you for an excellent article. I plan to share it with my peeps next week (Wednesday) on a Facebook page I curate called Cooking with Whole Grains & Real, Whole Foods. Hi Kathryn – thank you for stopping by. I do agree that vegetarian diets can be quite healthy if you are eating pastured dairy foods from healthy cows and goats on pasture, to obtain the fat-soluble vitamins A, D, E, and K2, Omega 3s, Vitamin B12, CLA and minerals, which are particular to pastured animal foods, and so necessary for optimal health. Thank you so much for sharing on your page. I shall go check it out! I am glad to know about it! Oops. I meant to say, I am featuring it tomorrow on Cooking with Whole Grains & Real, Whole Foods. Sorry about the mistake! After my son had a bad vaccine reaction that erupted into terrible eczema and gave him awful constipation …I was determined to heal him naturally! I got online and did extensive research and changed our diet to include all these things. My son is only 8 months, so the only thing I changed for him was to add ghee to his already organic food and I started adding bone broth to all his food, as well. In only a week and a half…his eczema is completely gone for the 1st time in months and he is now the most “regular” baby I know! I had previously been almost completely vegetarian ( a very healthy vegetarian at that…hardly any processed foods and totally organic), but I was loosing muscle mass like crazy with nursing my son. I have also started eating all these items and am gaining muscle back with out doing anything differently! I am a believer!